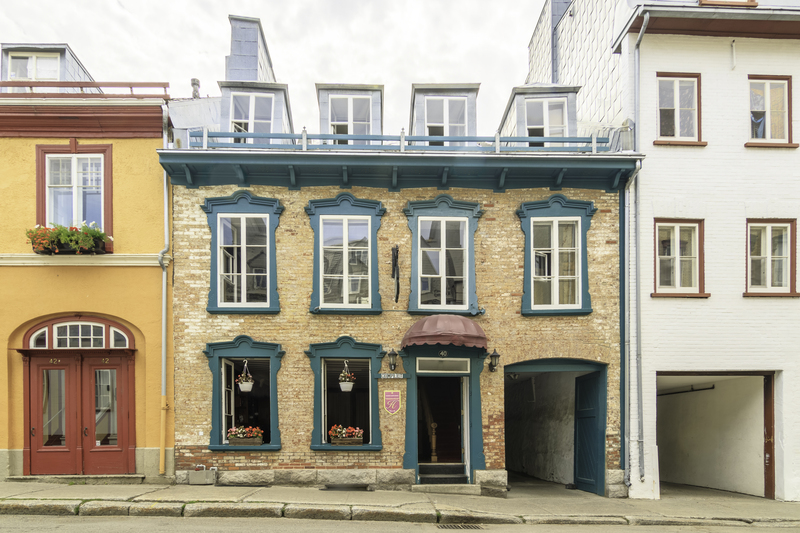 Located in the heart of Old Quebec, with only 15 rooms, the hotel La Maison St. Ursula ranks in the category “Small Hotel” and our rates (from $ 49.00 to 139.00 CAN) make it a place to stay very researched. Whether traveling alone (e), two, three or four, one of our 15 rooms (all different) will surely suit you. Eight of them are located in the old house itself. Aged over two centuries and made of local stone, it is, in 1786, the first to be built on the St. Ursula Street. Dice 1759 a Philippon said Yves Picard stood on these very places first wooden house, bought by the Ursuline Sisters and replaced in 1786 by the house we know today. Behind the said house, seven rooms were added in the mid-twentieth century. Devoid certainly clean charm of old houses, they offer, however, the advantage of opening directly onto the garden, which, for many, is a certain appeal, especially in summer.